The story and details of EU along with character submissions. Luna University is based on creatures from the MLP universe that have been anthropomorphized. This gives you a lot of flexability with creating your characters, the races below are mostly guidelines, if there's a race found in MLP that isn't on this list that you want to play, be sure to ask and we'll see what can be worked out. The degree that they have been humanized is based off of the models onthis blog, with this picture doing the best at illustrating the combination. Because everyone in this universe has similar biological systems hybrids can occur between any of the races. Ponies are the most straightforward race. They come in the same three varieties found in the show with the same cultures and personalities. We are going with show cannon in that alicorns are ascended, not born. 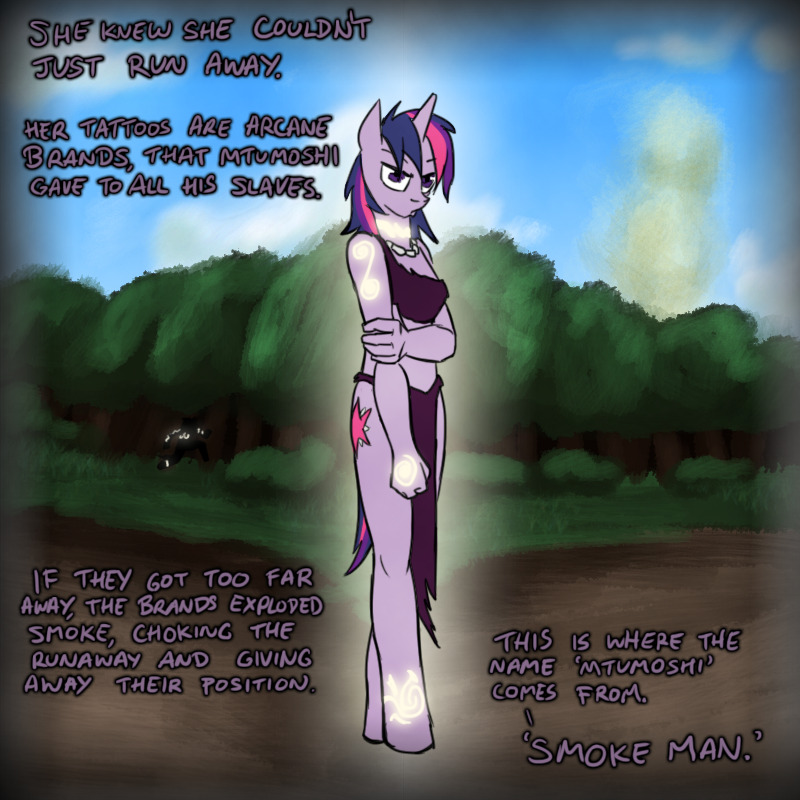 Their culture and native manner of speaking is the same as the unique culture presented in MLP:FiM. Same design as ponies, but with stripes and they typically have hair styles associated with Africa. Pure zebras will often times have traces of African culture in their mannerisms and speech. Griffons are taller than ponies on average by a couple inches, angular features, hands similar to talons, with the added feature of retractable claws from their paws. 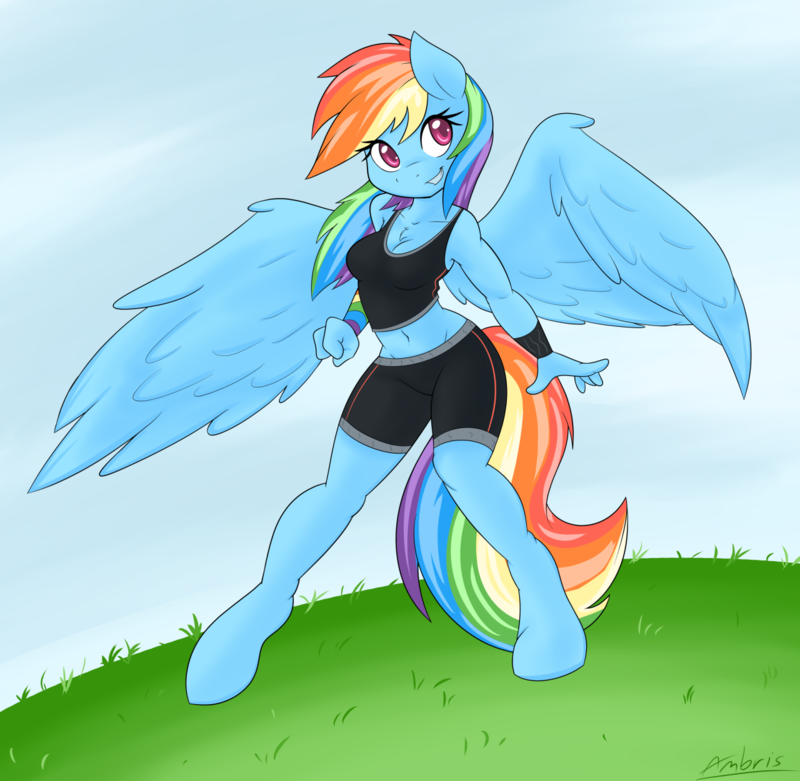 Larger wings than ponies on average, and generally speaking pretty muscular. They have lion's tails. They may or may not have German-like accents and manerisms depending on where they were born and raised. Buffalo tend to be larger and more muscular in build, and they also tend to have straighter hair from which horns stick out of. They have long tails with tufts of fur at the end. Their culture is based off of that of Native Americans. Also note that while cultures are given under each race, it should be noted that these are just guidelines. Just like in the real world in Equestria there are subcultures to every culture and there are people of different races that participate in other cultures. Here is a base of the kind of anthropomorphized aesthetic EU is going for. I tried to find a male base by the same artist, but no luck yet. So turns out the artist has locked all of their bases, which is a pity. I'll try and find another one. Last edited by captain_borgue on Tue Dec 16, 2014 3:38 pm, edited 1 time in total. That's just linking to an 'ooops, this page doesn't exist'. Ok, so, found another one that's got a pretty good grasp of the aesthetic. This one has a pretty good analysis of the different 'stages' of anthro- I've always pictured EU as being a 3 or a 4 on this chart. Just be aware, that same artist has some NSFW stuff in her gallery. Here is another, completely SFW drawing depicting the hooves-and-hands thing pretty well, I think. also, it has Derpy being adorable. Maybe this is just personal opinion, but I've always imagined it to be like the second picture, hooves and hands, as you put it. As for gryphons, I picture their hands as still being like a quadrupedal gryphon's talon-hands, kinda scaly, and their feet as being digitigrade (walking on their toes).